Galicia Paradise started in January 2003 with the idea of promoting abroad via the internet, property sales in this particular region of Galicia. Our long term hope is to preserve some of it`s houses and particular styles of architecture. 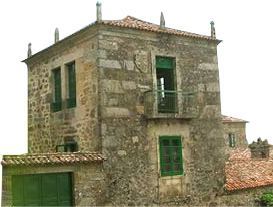 Set of 2 stone houses to reform, located in a small village, 5 km from Escairón. 1 house of 150 m2, 3 bedrooms, kitchen, dining room, bathroom, cellars. 1 house of 35 m2 to restore.